The Christmas and holiday period can be a sensitive time for those who find themselves in family dispute. We at Charles Strachan Solicitors recognise the hardship attached and the importance of ensuring professional support is at hand. This year, Charles Strachan Solicitors supported Resolution’s chosen charity Birmingham Children’s Hospital during the Christmas period and festivities. Resolution, consisting of many professional members, are committed to a conciliatory approach towards family disputes, which has specific codes of conduct adopted by practitioners to achieve a less stressful legal process in resolving family disputes. This approach can be very helpful in matrimonial and children related disputes when emotions are very high. 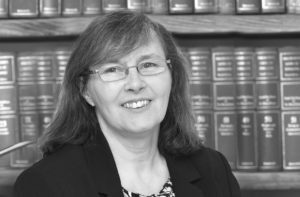 Our matrimonial expert, Ann Woodhall adopts both a conciliatory yet firm approach towards dealing with matrimonial matters, in both divorce and ancillary relief proceedings. Ann has supported Resolution for years and has extensive knowledge of niche matrimonial law, having dealt with legal arguments concerning the validity of marriages, sharia law and pre/post nuptial agreements.